Sunday, 4/14 3:30pm Update: Unfortunately, mother nature is not cooperating so we are rescheduling the egg hunt for Saturday, April 20 at 4:30pm. 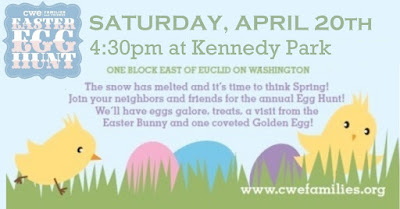 The Annual Central West End Easter Egg Hunt will be held on the Saturday before Easter (April 20) at 4:30pm at Kennedy Park (on Washington, one block east of Euclid). This annual event is always a great time for children and parents alike. 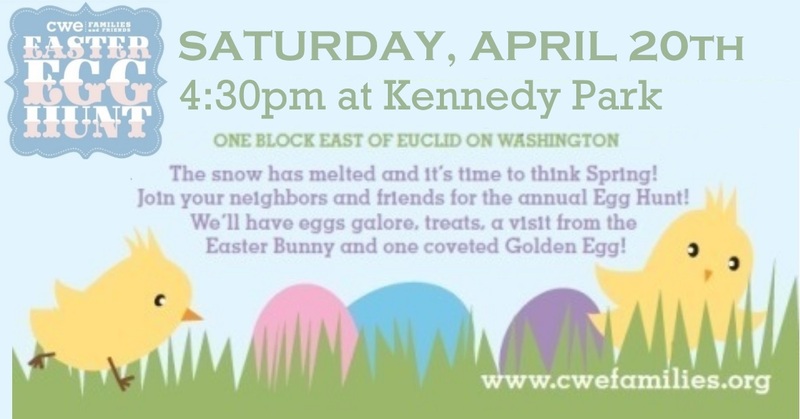 There will be lots of eggs to find courtesy of Busey Bank, special prizes from Premier Martial Arts and a visit from the Easter Bunny!